Hi there I’m Adrian Ainsworth (Beastie) and my wife is Chrissie Gates (Peanut) and this is our blog all about style for the Gentleman. Friday Cool is for the Gentleman and concentrates on style and all things cool for men. Most definitely though it is Gentleman style. No Gentleman though is complete without a stylish lady, so occasional features on the stylish lady also appear. Beastmaster.co.uk is our main site, where we focus on our passion for cars -(AutoBeast), our MINI adventures and The Life Blog, which revolves around Beastie’s battle with the Big C and records life as a kind of online diary. Reaching out from this site we have a number of satellite sites – Friday Cool, PhotoBeast, WatchBeast and the Gentleman’s Page. PhotoBeast is where we share our enthusiasm for photography with you, showcasing our photographs as we journey through life and its many adventures. 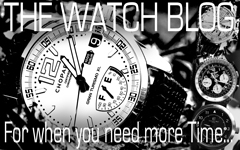 The Watch Blog concentrates on our interests in watches and also feeds through to a wall of watches on a Tumblr Mirror site here. The Gentleman’s Page explodes onto your big screen computer with a collection of wonderful photographs of girls and cars, an age old theme admittedly, but with good reason and our PG rated collection is very stylish. Finally iBeastie on The Fly is largely iPhoneography based and is a collection of blogs with photos as we are out and about at events, on days out or just spotting things that catch our eye. The sites all feed into the World of iBeastie window found on the front page of our main site. We hope you enjoy this Style blog for Gentlemen. Beastmaster and Peanut are our names, check us out at Beastmaster.co.uk.